The Enduring Influence of William F. Buckley, Jr. Using every possible communication platform available to him in his era (print, radio and television, public debate and speeches, and direct access to leading political and cultural figures), William F. Buckley, Jr. built an enormous audience for his ideas and policy objectives, successfully permeated popular culture, and caught the attention of policy makers and candidates who sought his advice and support. The intimate friendship he enjoyed with Ronald Reagan was unique in American history. How Buckley went from being an “enfant terrible” of the “Right” to one of the most influential public intellectuals of the 20th century will be the focus of this talk. 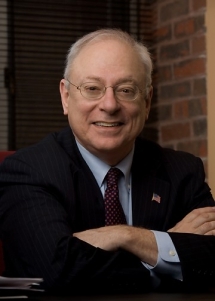 Alvin S. Felzenberg is a nationally recognized expert on American politics. He served in two presidential administrations, was principal spokesman for the 9-11 Commission, and worked in senior posts for several Congressional Committees. He is the author of the recently released, A Man and His Presidents: The Political Odyssey of William F. Buckley, Jr. (Yale University Press, 2017). Currently affiliated with the Annenberg School for Communication at the University of Pennsylvania, he is a former Fellow at the Institute of Politics at Harvard’s Kennedy School of Government.